In 1842 this was the shop of a greengrocer called William Durbin. Later in the 19th century, for about two decades, this was an Eating House belonging to Mr John Mills. He was still running his eating house at the age of 72 in 1881. The next occupier was a wheelwright and coachbuilder- John Tombs. For a while we believe the building was then unoccupied. For almost 60 years this was the home of Fletcher's fishmongers. Charles Frederick Fletcher had his Fish and Poultry Stores in Great Norwood Street from the late 19th century and in 1906 advertised rabbits for sale at 7d (about 3p). 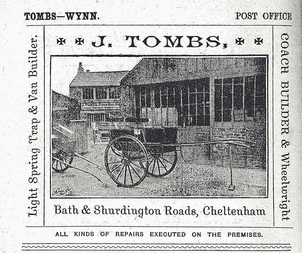 Known as Fred, he relocated his business to this Bath Road property in 1907. The shop continued in the name of Fletcher when Fred's son Maurice joined the business, continuing here until the mid 1960s. The next fishmonger to occupy these premises was F W Moody Ltd who were here until the late 1970s. 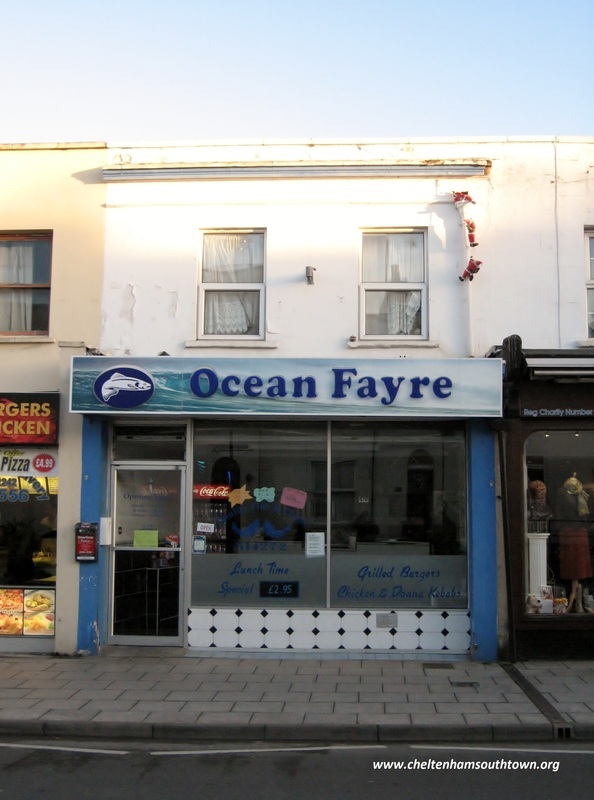 In 1980 Keith Brittan named the shop Ocean Fayre and sold takeaway fish and chips. In 1998 the shop underwent refurbishment and expanded its menu to include chicken and vegetarian dishes.